Approximately 17 ½ inches long x 3 inches wide. 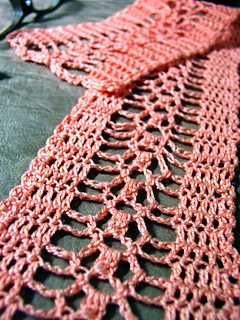 Longer scarf can be made by adding number of rows. 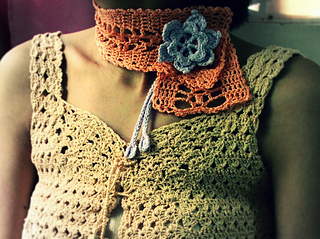 This lacy cotton scarf has a flower corsage (or ties) to keep it in place.